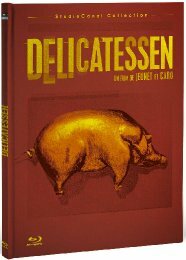 Delicatessen was the distinctive, spell-binding and never less than surreal debut of the partnership between Jeunet & Caro. 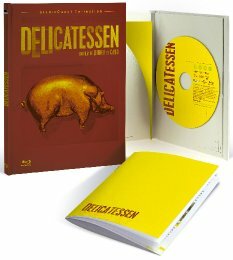 Set in a post-apocalyptic world where food is scarce, Dominique Pinon stars an ex-clown who gets a handyman job in an apartment building and then falls for the daughter of the building's owner - an imposing butcher who has resorted to murderous ways to get his meat. Below that, down in the sewers, live the Troglodistes. These are the rebels: vegetarians. magazine since 2009 and currently writes for a number of film-related publications, including Playground magazine and Eye For Film.